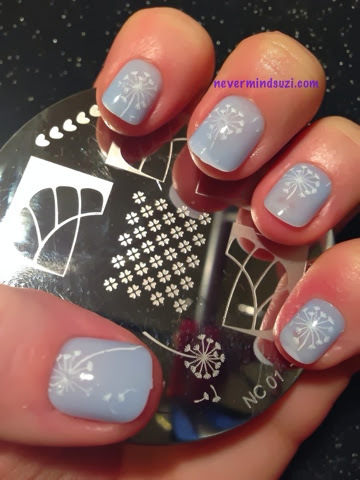 For the first time in forever I've done some stamping! 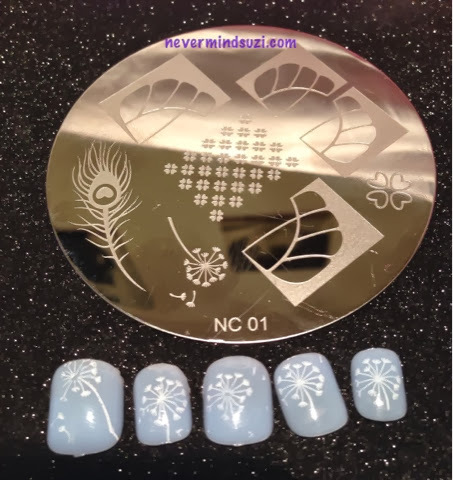 I've used this fabulous plate from Nailz Craze which can be purchased here. This plate is so pretty and close to nature. 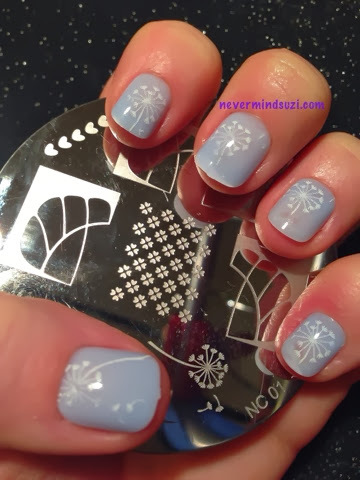 I used the dandelion seed image but I can't wait to try out the peacock feather. 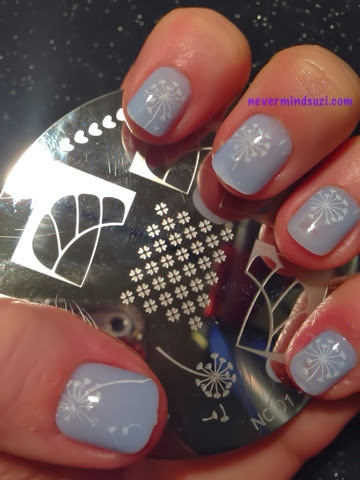 I used white konad polish to do the stamping and the base is actually the colour of the false nails I chose to use. I hope to try my hand at stamping more often.